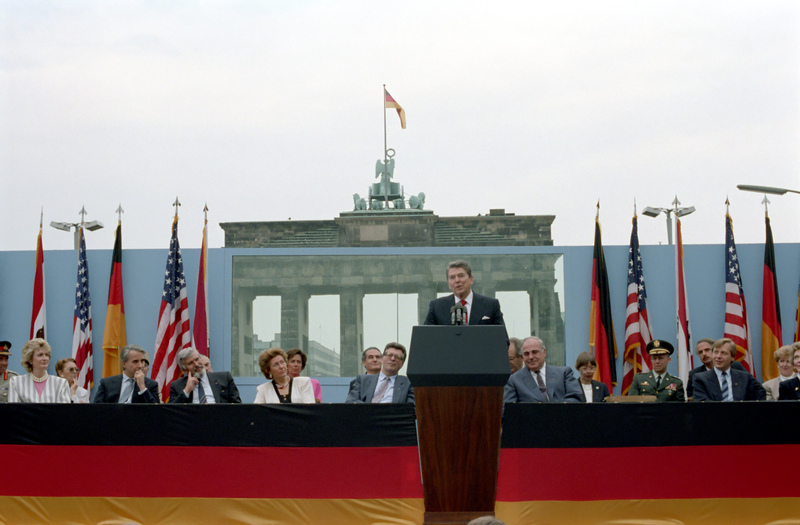 Size of this preview: 800 × 565 pixels. Other resolutions: 320 × 226 pixels | 2,846 × 2,009 pixels. 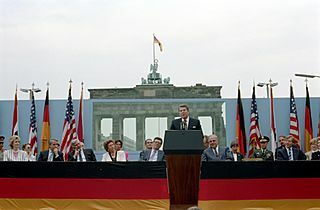 Description: Ronald Reagan speaking in front of the Brandenburg Gate and the Berlin Wall on June 12, 1987.
Credit: Ronald Reagan Presidential Library, ID C41244-9. This page was last modified on 20 April 2017, at 18:04.